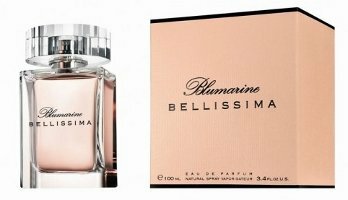 Bellissima was developed by perfumer Sophie Labbé; the notes feature dewdrops, ginger, orange, grapefruit, peony, passion flowers, sandalwood, vanilla flowers, musk and cashmere. * Update: it is the brand's first fragrance under new licensing arrangements with ITF; there were several prior fragrances under arrangements with Schiapparelli. Many thanks to Cosmicscents for the correction! I know of 3 other fragrances by Blumarine, they are called: Blu, Bluemarine II, and Vintage. Are they launching Bellissima as their first? Which isn’t as clear as it should be, but I should have checked! Hmmm. Sounds very office appropriate. I need some of those…might have to look at this one. Bluemarine II was a beautiful fragrance. Never smelled it! Never even saw it. I remember that one from my early Makeup Alley days, actually! It was a sheer rose-violet-ylangy thing, very pretty in an artificial way. Wish I’d bought a back-up. I’m pretty tired of pink myself. Dewdrops? Dewdrops? Do dewdrops actually have a discernible odor? That was my first thought, too–now they’re listing water as ingredients. Although, come to think of it, that has already been done. I wonder if the ginger is taking the place of pink pepper in a kind of fruity pink floral. That anything watery is the first note is making me nervous. I liked Blumarine II as well, it was nicely done. Looking forward to sniffing Bellissima! I love their clothing line, but I don’t know about this perfume… pretty bottle, though. This Looks and Sounds GORGEOUS! I am almost in Love with it from just the notes and bottle and packaging alone! CAN’T WAIT To Get a Sniff… i got that same feeling i had about the new Valentino Fragrance (AND LORD HOW I ADORE THAT ONE!) and i feel this may be worth the buy! also noticed that the perfumer created the new Alberta Ferretti scent as well which i am EAGERLY awaiting too! I forgot about the AF — we’ve still got a long wait for that to get to the US. I tried it at nords 2day and its another beentheredonethat scent but I liked it. I like the bottle and packaging too! I still haven’t tried it, as usual! I also had the opportunity to wear Bellissima for a couple of days and received more compliments on it – I really lean towards more aggressive fragrances but may integrate this into my rotation when I want to go “pretty”. I have only tried it very briefly so far but would agree w/ pretty…more so than most.